While some types of turf are more resistant to weeds than others, it’s likely you’ve battled stubborn interlopers at some level in your yard. As these uninvited guests sprout up in your lawn, it’s easy to think you can handle them yourself, and you may be right. But there are a lot of different types of weed killers on the market, and without adequate knowledge you could do serious damage to your otherwise healthy lawn. Sometimes it’s best to rely on the professionals for Atlanta lawn treatments, but if you’re tempted to go the DIY approach, or you’re simply curious, here’s some basic information to get you started. 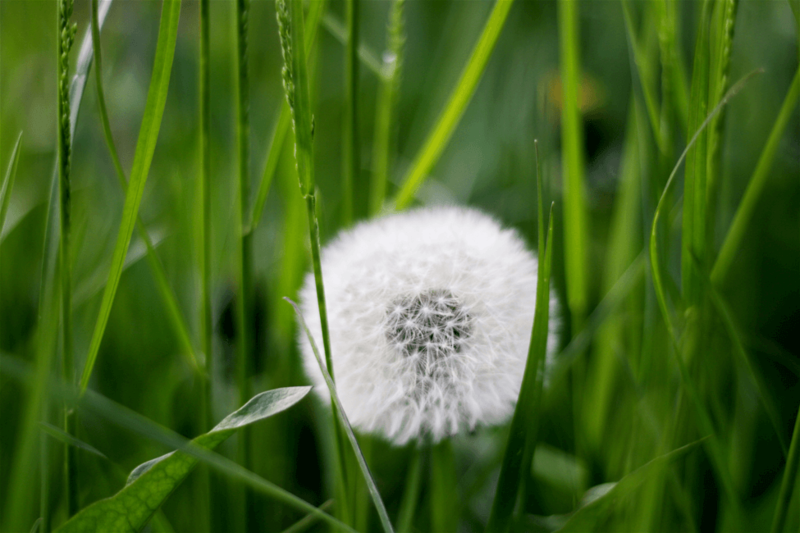 Healthy Lawns Crowd Out Weeds: How can you discourage weeds from taking root? A healthy, happy lawn will be less prone to weed growth. Performing effective yard maintenance like proper watering, mowing, and seasonal aeration goes a long way toward reducing the weed population in your yard. It’s also important to consider environmental conditions to ensure your yard is set up for success. Weeds will thrive in areas that receive too much shade or sunlight, drain poorly, and encompass compacted soil or diseased turf. Select the Right Formula: It’s understandable to be overwhelmed by the selection of herbicides at your home improvement store. Do your research ahead of time to determine which treatment is best suited for the weeds you are targeting. Of course, before you can do that, you’ll need to identify the type of weed. Most herbicides are systemic, like Roundup. Systemic herbicides work within the plant after entering through the leaves and roots to ensure the whole plant is killed. Contact herbicides work from the outside in, weakening the plant on contact by inhibiting its ability to photosynthesize. They are great for controlling annual weeds and using in garden areas so surrounding soil isn’t affected. Selective weed killers are specifically designed to only kill certain broadleaf weeds and not the surrounding lawn (as long as it’s established). Non-selective options kill without preference, and so provide a good option if you’re preparing garden beds. Pre-emergent herbicides can be a successful preventative measure, as they target weeds before germination. Crabgrass preventer is a popular option in this category. Post-emergents should be applied after the weeds are established but before they go to seed. Catching them early is key. Application Quick Tips: Once you’ve purchased the correct herbicide, here are some tips to ensure a safe and effective application process. Read all labels and follow directions carefully. Spray when there’s no wind to prevent herbicide drift from affecting other plants. Wear protective clothing including gloves and eyewear. Don’t mow immediately before or after applications. Keep pets and children indoors until it dries. Cover young plants to protect them from applications, as they may not be mature enough to handle even selective herbicides. Of course, if all of this seems like more than you’re willing to deal with, our Certified Landscape Specialists receive continuing education and training to handle your yard’s weed control and fertilization needs.